I was the first person off the plane in Atlanta and the first person off the plane in Frankfurt. For very different reasons, I assure you (one borne of the urgency for things to be ok and one of convenience), but nonetheless, I think that being the first person on an escalator or in a corridor helped me to notice things a little more clearly. When I landed in Atlanta, I found that even the stale, probably nasty airport air just smelled more like home. That and the fact that you can stand even kind of close to any given stranger without being overcome with smoke. One of the first things I noticed upon landing in Frankfurt is that the majority of escalators here are of the super-skinny variety. 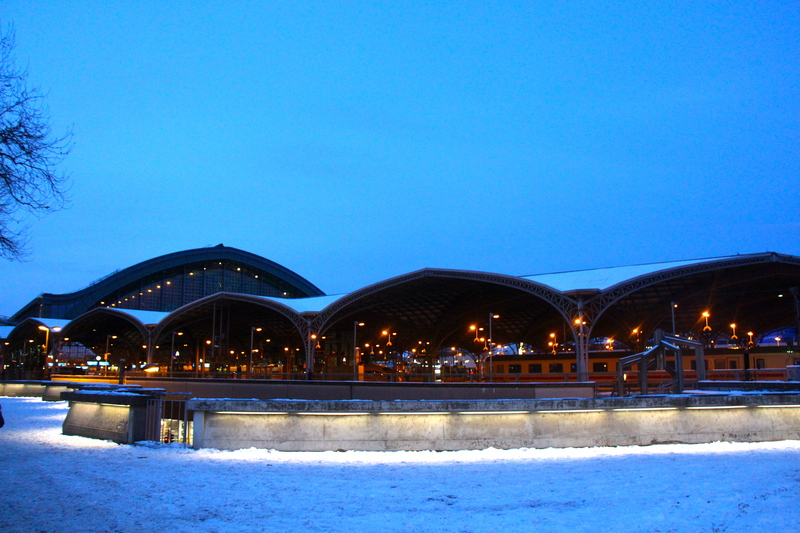 And… it is really cold here. I knew that already, of course, but… I’ve been here for 8 days already, and I haven’t seen the first day where the temperature broke freezing. 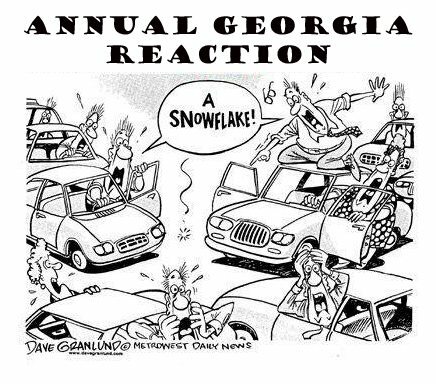 In contrast, the last 8 days I was in Atlanta was filled with the likes of 60s and 70+ degree high temperatures. Even the super-efficient Germans haven’t been able to keep up with de-icing/snowing the sidewalks around town. In spite of it all, though, life keeps moving; honestly, this is as much of a culture-shock ingredient as anything else I’ve known, given my lifetime spent in the South, where the mere mention of snow or ice ensures a run on bread and milk at the grocery stores and may even prompt pre-emptive school closings. On the plus side, though, being here feels more like being at home than it did in any of the 3+ months I was in Germany before my trip back to Atlanta. I was always aware of a sense of watching myself live life in Germany in those first months, but now I am just doing it. I’m not sure what that’s about, but it is definitely more comfortable to not constantly be having a slightly out-of-body experience! Also (and more importantly) on the plus side is being back in the same time zone (and living space) as my sweet husband (who has no idea of what it means to clean an apartment, although perhaps I even love this about him, although I wouldn’t ever want to seem as though I were encouraging it). In any case, although it was wonderful and awful to be home in Atlanta, and I do hope to return under less stressful circumstances in the near-ish future, it is also really good to be home in Aschaffenburg. we’ve crossed one other mug off the list, but as you can see, we have a lot of adventures demanded by this list yet to be completed! Of course, almost immediately upon getting home to Aschaffenburg, we left on an adventure! 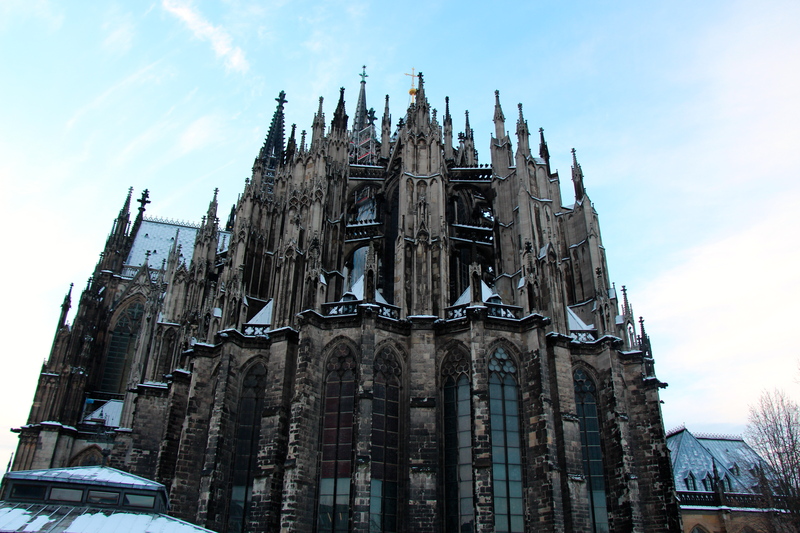 Ever since our foiled attempt to go to Cologne for the Christmas markets at the very beginning of December, I have had a HUGE hankering to go there (prior to that 1st attempt, it had been a “oh, that seems like a nice place to go” kind of desire), so we put that at the top of the list. I should also mention that we have become, obsessed? extremely goal-oriented? fixated? 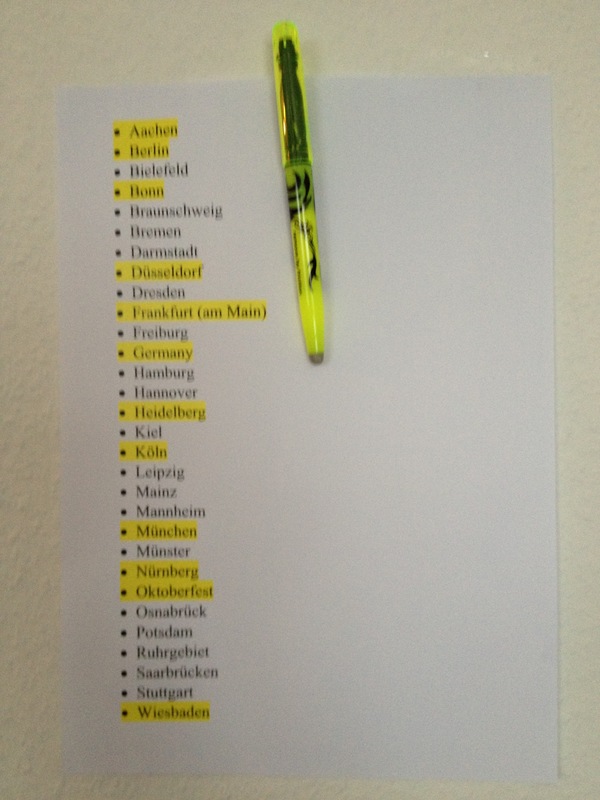 oh, let’s just say we are *interested* in collecting mugs from all of the various Starbucks in Germany that have a local mug (see the list above…). 🙂 So… our little trip to Köln warranted side trips to Düsseldorf, Bonn, and Aachen, as well! 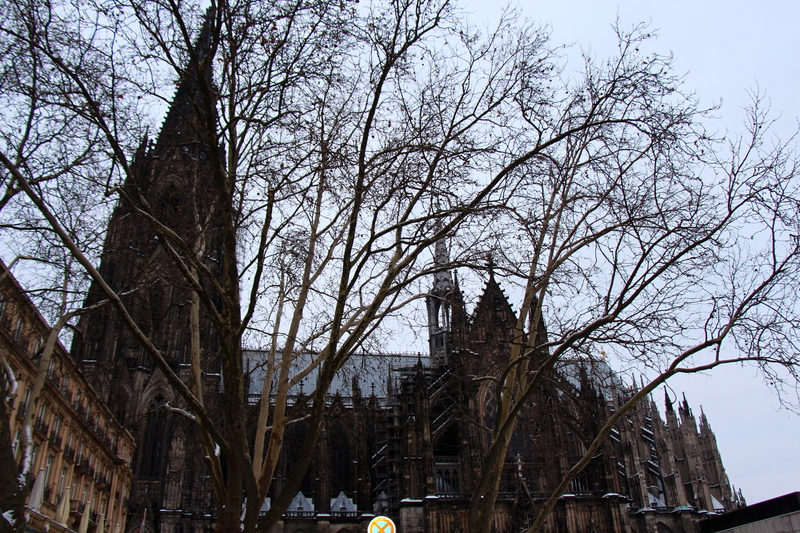 For today, though, I will stick to showing you the parts of Cologne we experienced (beyond the Starbucks…)! 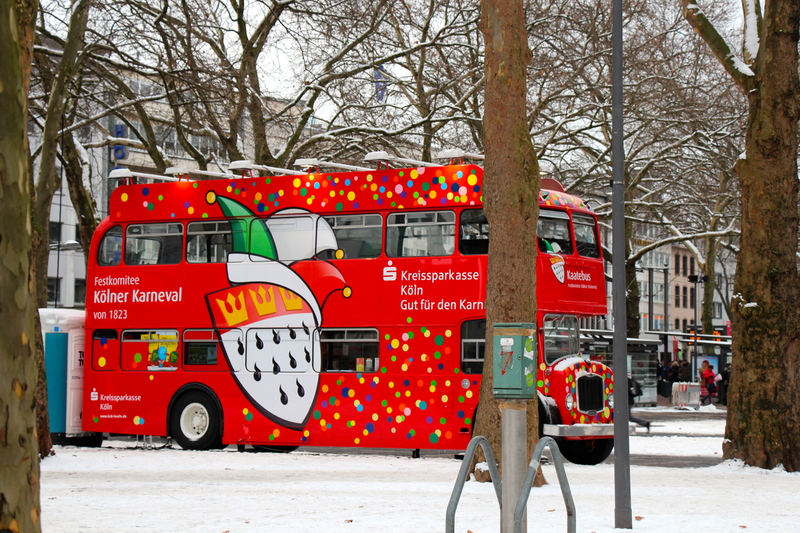 One thing about being in Germany this time of year, besides the cold: They take their Karnivale celebrations SERIOUSLY. We saw all kinds of costumes (and they are also pretty intense, but I never had the guts to randomly take a picture of someone in their gear). 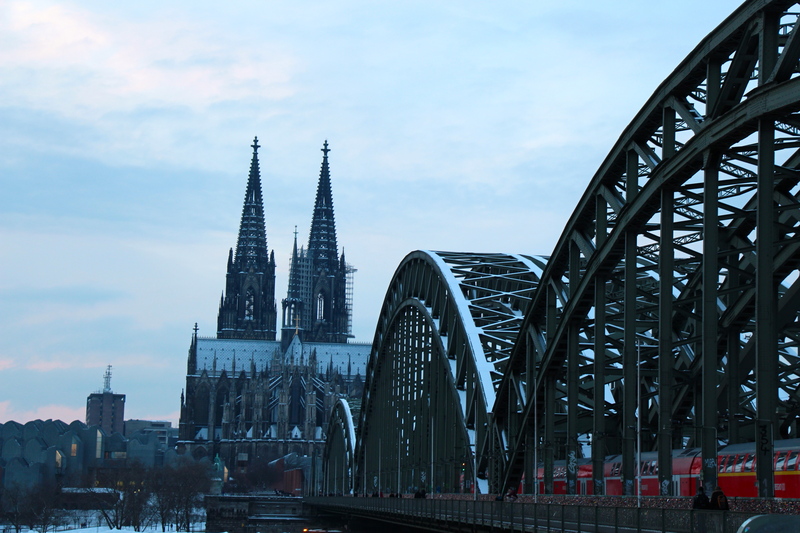 Local legend has it that the citizens of Köln didn’t have to do any work because all the little people did it while they slept! I’d build a statue to that, too! 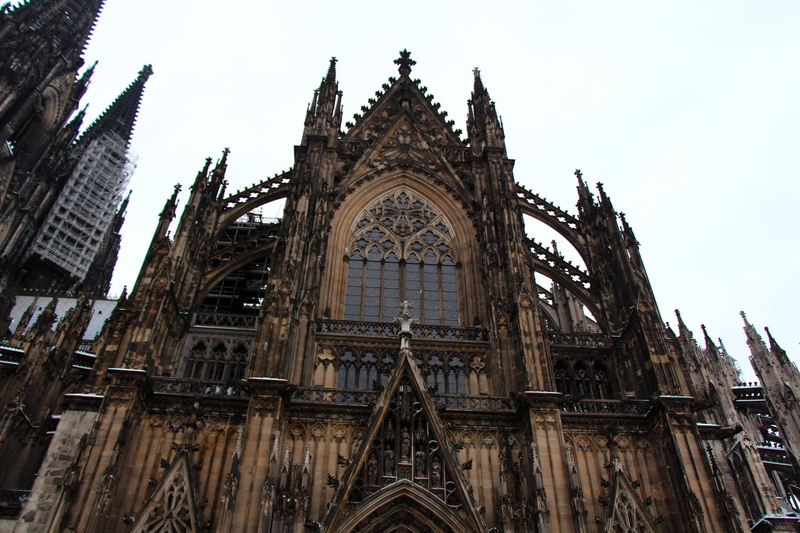 The Cathedral (Dom in German). I really am at a loss to describe how grand this is. 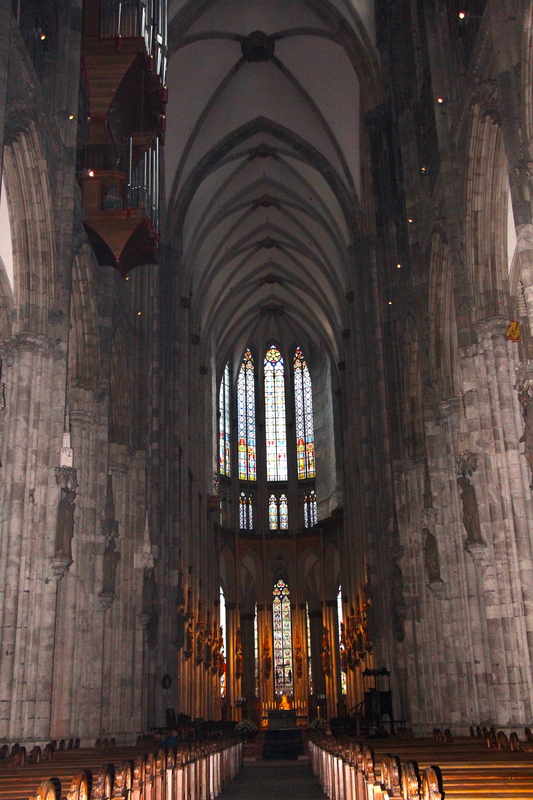 It is tremendous… It is also Germany’s most visited site (per Wikipedia). It was originally started in the 1200s, and was completed (after taking a few centuries off from their construction) in the 1880s. It was beat up but not killed in WWII, and I’ll bet if those walls could talk, they’d have a story to tell! 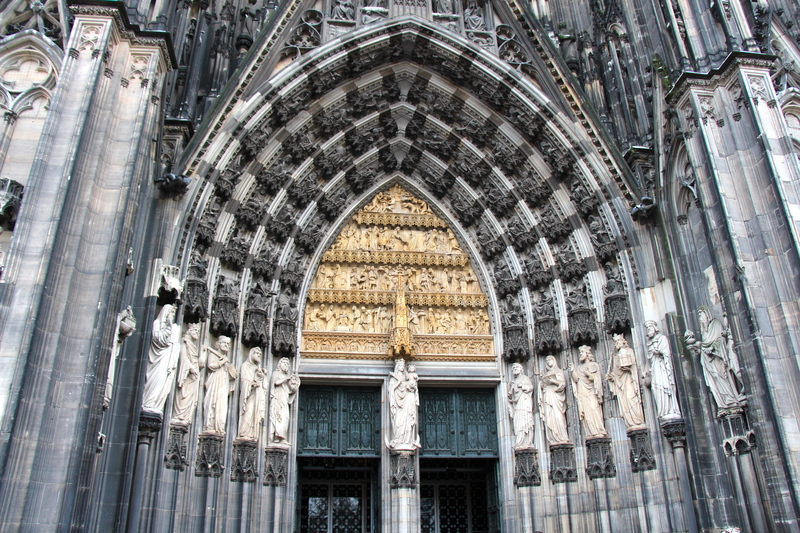 Another view of the Kölner Dom, whose official name is Hohe Domkirche St. Petrus. detail above one of the entranceway. 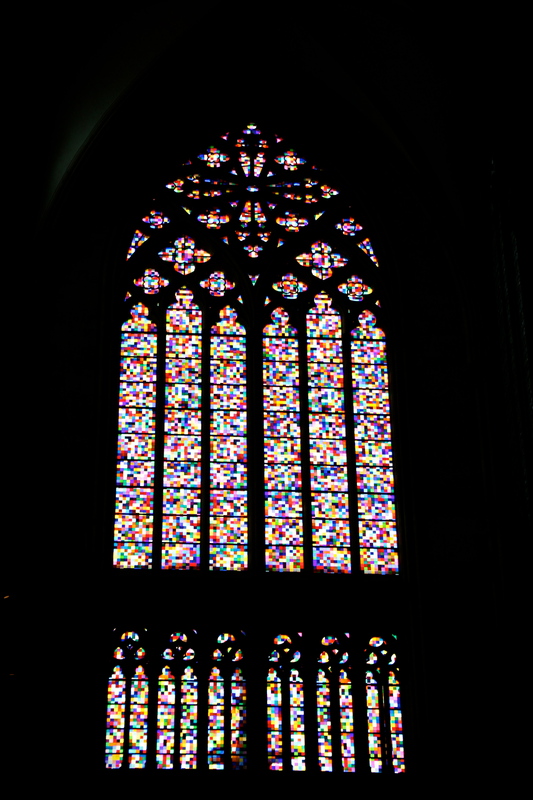 I thought this was so far beyond gorgeous… It is the newest window in the Dom, having been installed in 2007 as a replacement for a window that was a casualty of war. Interestingly, the cathedral’s archbishop refused to attend the dedication of the window in protest because he wanted a window design to reflect 20th century Catholic martyrs. From the back looking up towards the altar. 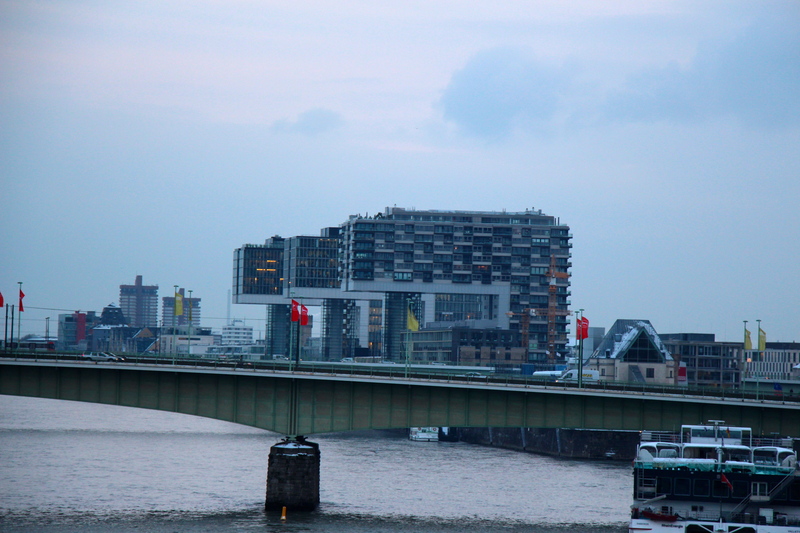 one last shot of the exterior..
as seen along the Hohenzollern bridge in Köln. vista with the Hohenzollern Bridge and the cathedral in the background. the architecture here is rather curious, indeed. Certainly eye-catching! 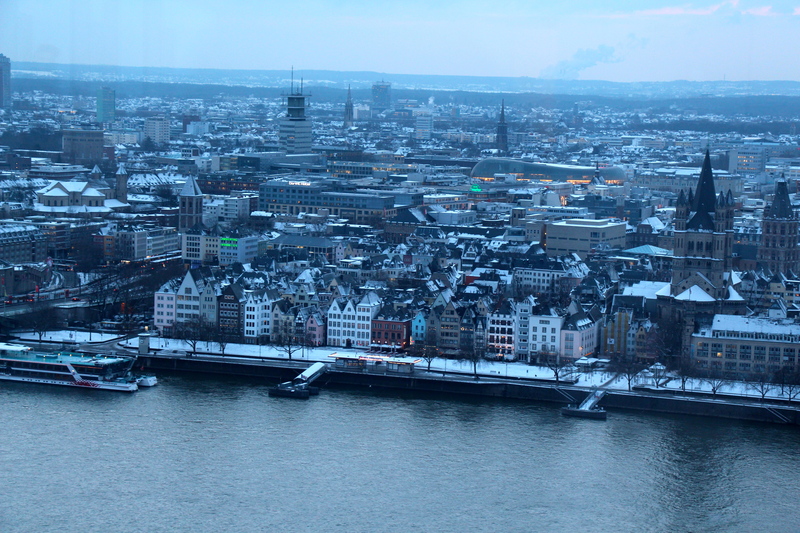 We ascended to the top of the Köln Turm for views such as this. 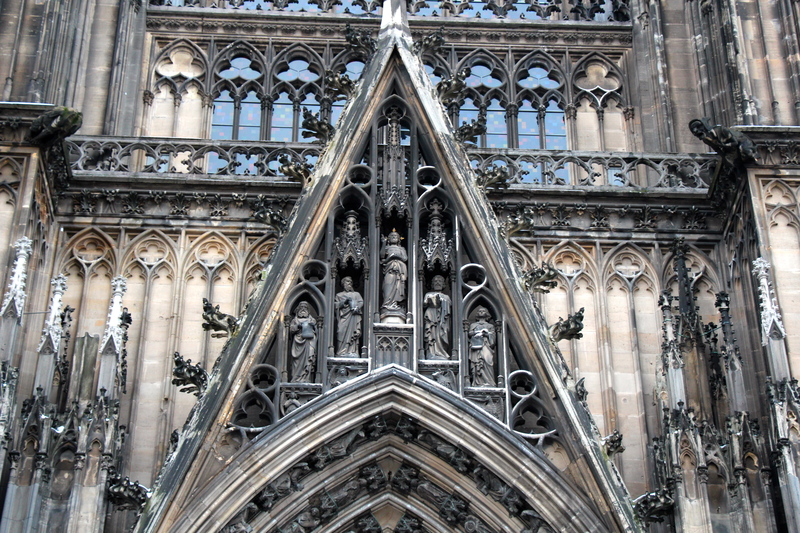 This entry was posted in Culture Adjustments, History, Living Abroad, Traveling and tagged Aschaffenburg, Atlanta, Cologne, Cologne Cathedral, Germany, Hohenzollern Bridge, Karneval, Köln Dom. Bookmark the permalink. I’m so glad Germany is starting to feel like home for you. 🙂 What’s the deal with all of the locks? (Aw, geez…I hope you didn’t say it, and I missed it. I’d feel like a fool indeed). The locks were incredible… They were that densely placed for most of the bridge, even. Traditionally, they are put there by lovers demonstrating their everlasting love (unbreakable and unending). We’ve seen them in a few places now, but this was the most per square foot I’ve ever seen! I never realized I had a love of stained glass windows as much as I do until you started photographing them! I was wondering about the locks too… Glad you arrived safely! 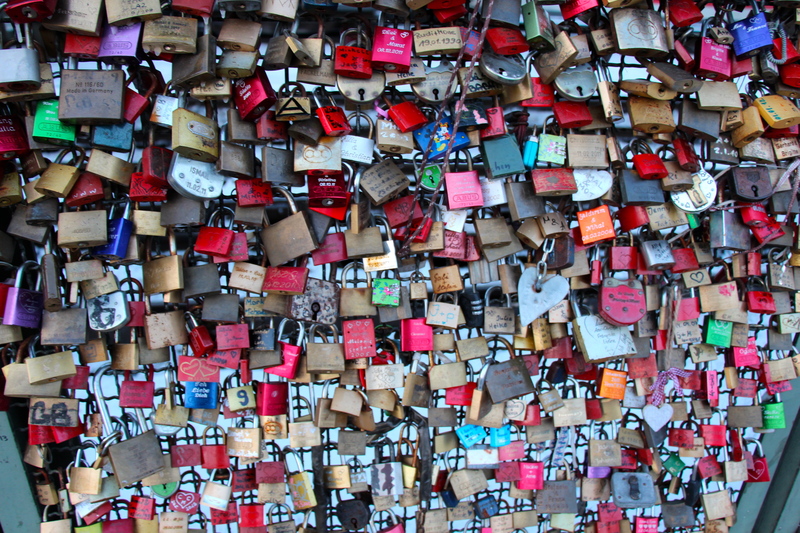 The locks are something that people put on bridges and whatnot to symbolize love, particularly everlasting love. 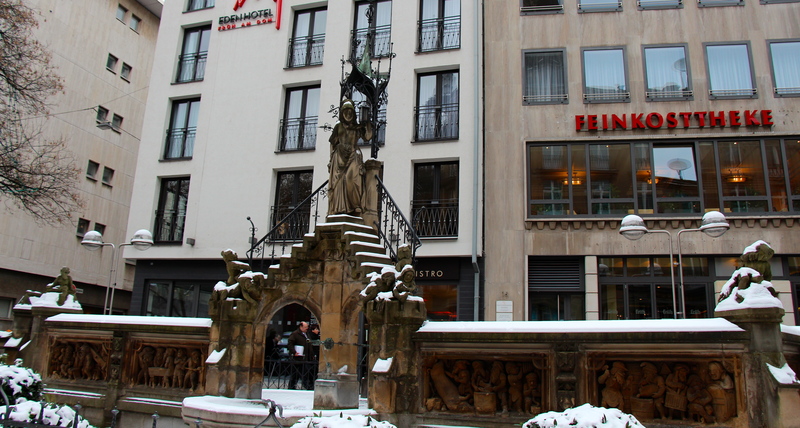 Its done in a variety of places – we’ve seen it in Paris, Heidelberg, Frankfurt, Rome, etc. We even saw people doing bike locks (sometimes very large bike locks)! Apparently, there’s been some controversy and Deutsche Bahn (the train company) wanted to remove all of the locks off of this bridge, but in the end, love reigns, and they are going to stay put. This was the most locks we’ve seen anywhere, they were crammed in all the way across the bridge! Thanks, Auntie Ann! It made me smile so much to see your name pop up on here! Love you! Again, great photos! And this is spot on: “I was always aware of a sense of watching myself live life in Germany in those first months, but now I am just doing it.” That ex-pat feeling of being outside of yourself is weird, but once you get over it, then it is a great feeling. It is utterly bizarre, the Germans and their costumes. Hilarious, but completely disconcerting. We should meet up, should the stars align. Our projected go-home date at this point is 21 June, although I know that we were hoping to do a trip somewhere near the end. When are you going to be in Mainz? I understand that a good bit of German Karneval history and Mainz overlap (an archbishop who was there had something to do with current traditions, although I can’t remember now what it was… I saw it over the last weekend. I’ll try to find it again…), too. So far, I am heading to Mainz on June 8th. We have a Bavarian wedding to attend on June 15th, so I am flying in a bit early to adjust my time. I have never been in June (usually the $$ are way too high, but I am flying for free this time!). I would love to get together and meet some US expats in Germany. How wonderful! I think one of the best things about Europe is that history is inexpensive. You don’t necessarily need to buy a ticket to the local cathedral or a big museum, the streets are teeming with history! I’ll keep in contact with you about June. Sounds like fun!